Research shows that an eye cream containing 2% Vitamin K combined with 0.1% Retinol and Vitamins E and C dramatically reduced under eye dark circles and wrinkles and today's review is about Ageless Derma's new anti-aging cream. 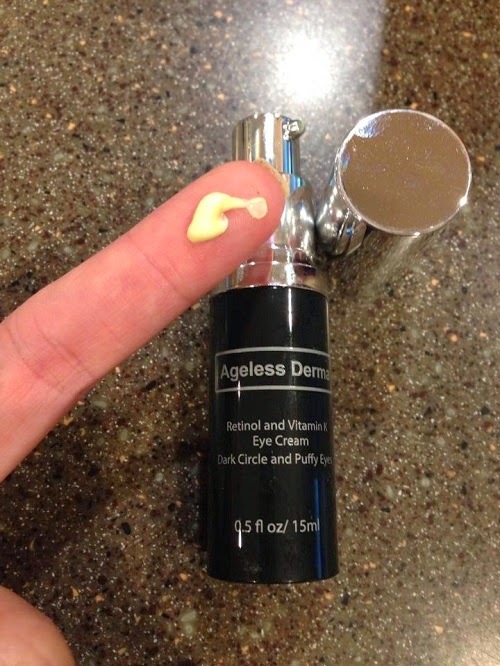 Always at the forefront of the latest scientific evidence and new skin care solutions, Ageless Derma introduces their anti-aging eye cream. This newest eye cream targets dark circles, puffy eyes, and wrinkles around the eyes, such as Crow’s feet, all at the same time. Their two main secret weapons are naturally derived ingredients Vitamin K and Retinol, making this eye cream the new gold standard for a younger, more radiant look where it counts: around the delicate eye area. 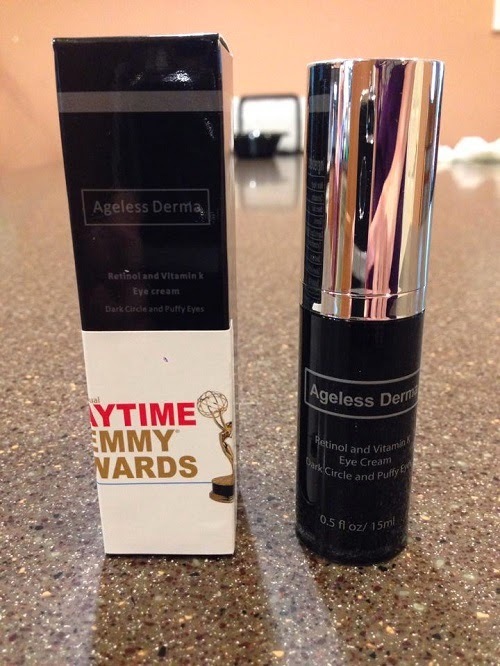 Ageless Derma’s Vitamin K and Retinol Eye Cream also contains Vitamins E and C in order to provide antioxidant effects and promote new skin growth. The eye cream targets dark circles under eyes, puffy eyes, and Crow’s feet. First off, I'm not new to Ageless Derma products. I've already tried the Ageless Derma Anti-Aging Intensive Skin Brightener and I can attest that it really helps brighten dark spots. Although the instructions were clear that I have to start using it for 3 times a week by applying a pea size amount of cream on cleaned, dry skin, I jumped to daily use right away. Hey, I trust the brand and my skin is not so sensitive anyway. It has a creamy, but not thick consistency. It didn't take long for my skin to absorb it completely. The skin around my eyes feels very smooth and moistened. It's been two weeks since I started using it and I noticed a slight improvement in my crow's feet; the lines are not that deep anymore. The dark circles and puffiness are almost gone despite sleeping only a few hours a night. I'm not a makeup person, so I asked my daughter to try it under makeup. She says that it doesn't leave a sticky feeling and is not shiny at all so it worked perfectly for her. It comes with a pump which makes it hygienic. Jarred products tend to get contaminated even if your hands are clean. The easy pump only releases a small amount that's enough for both eyes. A little goes a long way for this product. It doesn't work for those with very sensitive skin. I'm amazed with the results, so I can recommend this. If you're looking for an eye cream to help fight the signs of aging and rid you of panda eyes, this is the product to try. Buy it now on Amazon or on their website. Like and follow them on Facebook for updates.